Also: Tillerson announcement. DEC 8, 2016. THURSDAY. MOSCOW. 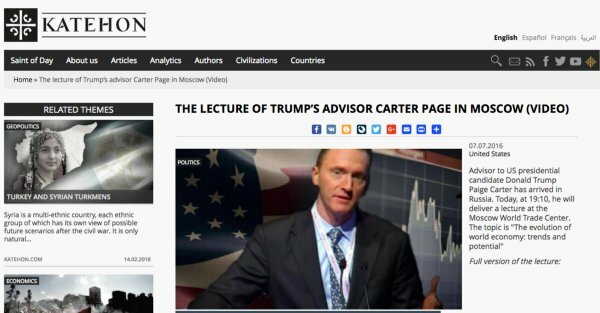 #CarterPage, an early advisor to Trump and a former analyst for #Gazprom, arrives in Moscow with a private business visit till Dec 13. 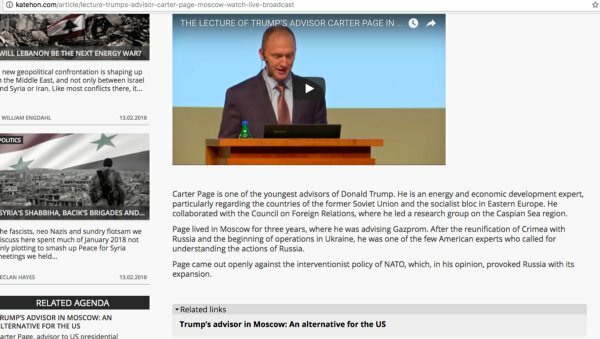 DECEMBER 12, MONDAY, MOSCOW, #CarterPage gives a talk at the news agency “Rossiya Segodnya” and shows a slide that names #RexTillerson as the State Secretary. (Tillerson is not yet confirmed by Trump.) A screenshot from his presentation below. DECEMBER 13, 3.43 am. Trump tweeted about the nomination of Tillerson and Trump’s transition team announced the nomination. Anyone wants to ask them about all of the above? #NationalPrayerBreakfast: Trump speaks now. 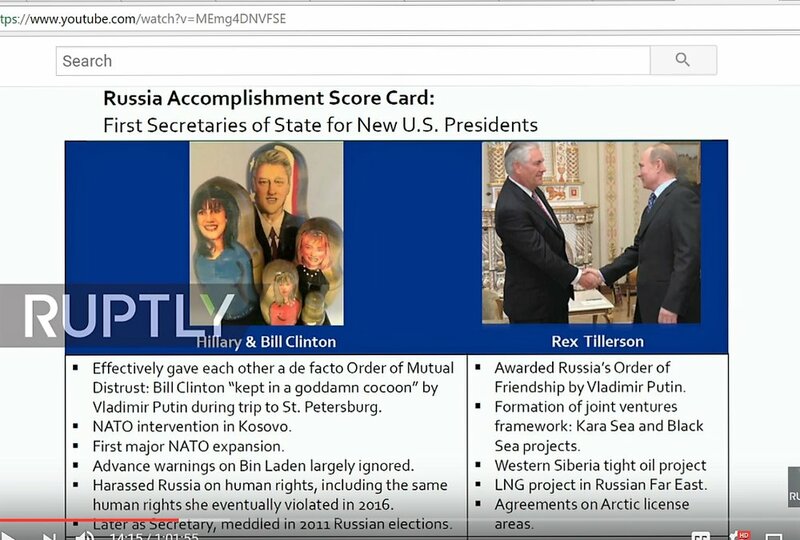 The Kremlin infiltration thread. The National Prayer Breakfast is held by Fellowship, also known as The Family, and the International Foundation. Doug Burleigh is currently a leader of the National Prayer Breakfast. Burleigh took over after the longtime leader Doug Coe, his father-in-law, who died in February 2017. Both Dough Coe and Dough Burleigh have ties to the Russian officials. Doug Coe had a close friendship with Boris Birshtein, an émigré from the USSR and allegedly a (double) agent of the KGB and Mossad” with confirmed organized crime connections. In November 1996, Howard Lorber and Ben LeBow brought Trump to Moscow and arranged discussions about a joint venture between their Liggett-Ducat tobacco factory, Trump Organization and the city of Moscow with the Moscow authorities, namely Moscow Mayor Yuri Luzhkov’s office. 3. very obvious: if the dumped/hacked #DNC and #Podesta actually came from #Guccifer2, that would have been "receiving stolen goods": it would have been demented to admit it publicly.